so being locked up isn’t the best way to find happiness. most women would rather meet a man at church, gym, or grocery store. meeting a man in prison isn’t a dream most women have lol. does that mean we don’t deserve to have happiness ? 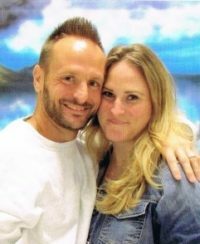 should we not be allowed to meet a women while being in prison? who has the rights to decide that? well I feel that I’m a great guy who made a mistake when I was young and I deserve everything that the next man gets. do I wanna find someone who I can love or can love me, yes! throughout my time, I’ve ran across a couple women who have tried to give me that but the predicament I’m in makes things tough, mentally, for the women. I’ve had one that tried her hardest to stick around and what was once love turned to friendship. I was just happy to have someone like that on my side. I’ve also had one that lied n tried to keep me in the dark about her personal life. all I ask for is complete honesty, great communication, and ur loyalty. with those three things, we can build the perfect relationship. with that being said, yes I’ve had my heart broken since being in here. u know idk why people feel the need to lie or be deceitful, just tell the truth and everything will play out how its supposed to. idk fr I’m just getting some things off my chest right now. I’m going through something right now and I felt the best way to handle it would be voice it on this site:-) well thanks for allowing me to vent………….